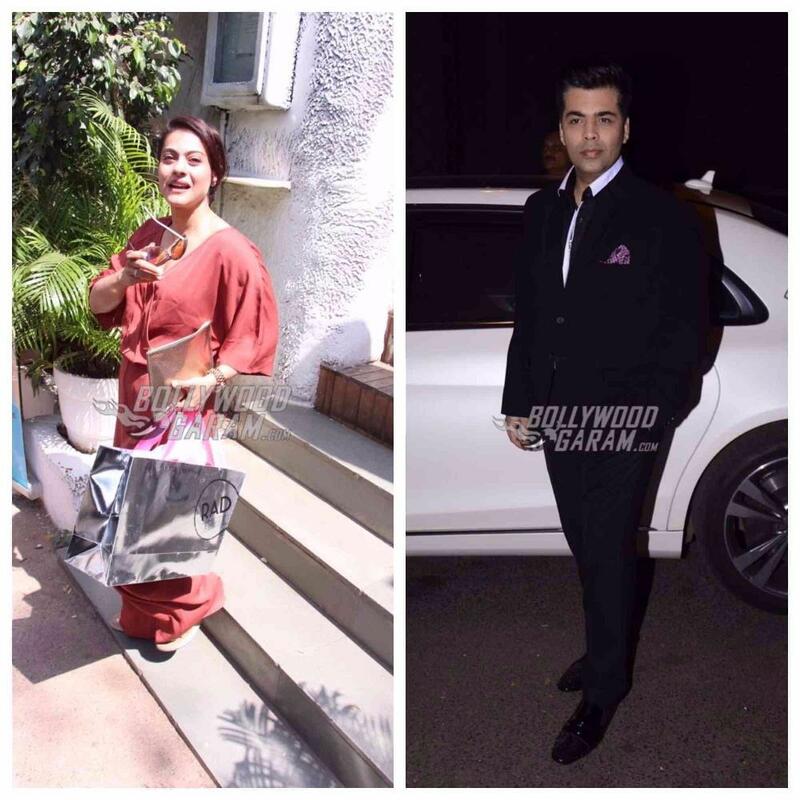 Filmmaker Karan Johar became a proud father to a daughter and a son Roohi and Yash born through a surrogate mother. The twins, who were born pre-mature were kept in the hospital for a few weeks after which they have been brought home. Since then several friends and colleagues of Karan have been visiting the little ones at his residence. Actress Kajol, who is no more in talking terms with Karan, was questioned in an interview if she would visit Karan’s children. The Dilwale actress honestly said that she would not answer any questions on that topic. Kajol and Karan have been maintaining a distance ever since their respective movies Ae Dil Hai Mushkil and Shivaay hit the theatres together. Karan Johar in his biography had mentioned that things turned sour between the two when it was alleged that Karan had bribed someone to damage the business of Shivaay. Karan and Kajol have been friends in the industry since 25 years but not anymore. The filmmaker in his biography also mentioned that Kajol would never return to his life. Kajol has now distanced herself from the filmmaker, with whom she has worked in a number of movies like Kuch Kuch Hota Hai, Kabhi Khushi Kabhi Gham, Dilwale and more. There was a time when Karan Johar used to consider Kajol as his lucky mascot and made sure he added at least a cameo of the actress in the movie she did not star. Meanwhile Karan Johar is in a happy space as he is enjoying the box office success of the movie Badrinath Ki Dulhania and is now a father of twins. The filmmaker also shared a few pictures of the nursery designed by Gauri Khan or the twins. Next articleMeri Pyaari Bindu Official Movie Trailer Chapter 2 - Gabbar aur Samba is out!